Friday was the first ever Sovereign Redeemer wedding, and consequently the first wedding I have ever officiated. I have to admit to being nervous. It goes without saying that this is THE BIG DAY for the bride and groom and their families, and no one wants to be the weak link that takes away from the plans of the day. I had the privilege of delivering a short message, doubled in time by sequential translation into German (the bride and her family are from Germany). My focus was to establish how earthly marriage is a picture of the heavenly marriage, and then use that to speak of one undeniable observation about our weddings. I hope you find it encouraging. The Bible begins and ends with a wedding. It begins with a human wedding, the wedding of Adam and Eve in Genesis 2. It ends with a heavenly wedding, the wedding of Christ and His Church in Revelation 19 and 21. In between, in Ephesians 5, Paul teaches us that this is not a coincidence, that human marriage was meant by God to be a picture of the heavenly marriage. This, of course, has profound implications for our conduct in marriage. If we play our roles according to God’s design, we will display to the world the beauty of Christ’s redeeming love for His Church – that Jesus saves His Church – and that His Church joyfully follows Him. If we play our roles in unfitting ways, we will give the world a warped, distorted picture of Christ and the Church. With that as the context, I want to make an undeniable observation about our human weddings and say why I think it is appropriate and what it means about Christ and His Bride. Here is the observation: THE BRIDE. Behold the bride! She’s beautiful! And the groom is handsome, but I promise you that no one is going to remember the groom! To be more biblically accurate, it should probably be the groom coming down the aisle, because it is Jesus who comes for His bride, but it is never the groom, it is always the bride! There is always “that moment” when the bride enters, and we’re always in awe. Here is why I think that’s okay: in the context of human marriage as a picture of the heavenly marriage, the bride’s glory – the Church’s glory – is a reflected glory and actually brings great glory to Jesus Christ. In other words, the groom isn’t diminished in any way by the bride being breath-taking. He is actually greatly honored. Colossians 1:21-22, “And you, who once were alienated and enemies in your mind by wicked works, yet now [Jesus Christ] has reconciled in the body of His flesh through death, to present you holy, and blameless, and above reproach in His sight”. Through His death, Jesus Christ reconciles us to His perfectly righteous and perfectly just Father. He makes us pure. Though our sins are like scarlet, he cleanses us and makes us as white as snow (Isaiah 1:18). At this heavenly wedding, the bride is beautifully dressed in clean, bright, fine linen, and this is the righteous acts of the saints. In other words, believers aren’t left where we were found – we are moved into a life of grateful obedience, where it is our great delight to do things that glorify our redeeming Bridegroom, our saving Bridegroom. Believing friends, you who are in Christ: look at the bride in all her glory, in all her beauty, and glorify Jesus Christ! It is His glory to take sinners and do THIS! Unbelieving friends, you who today are outside of Christ: consider your life and be wise! In the parable in Matthew 22, a king arranges a wedding for his son. During the course of the wedding, the king notices a man present who isn’t wearing wedding garments. The king rebukes this man and commands that he be cast outside where there will be weeping and gnashing of teeth. If you have not fully and only trusted in the work of Jesus Christ on the cross, I tell you today that unless you repent you will likewise perish! You will eternally perish! Let today be the day that you repent and believe in Jesus Christ, the redeeming Bridegroom. Behold the heavenly wedding! Please pray with me. 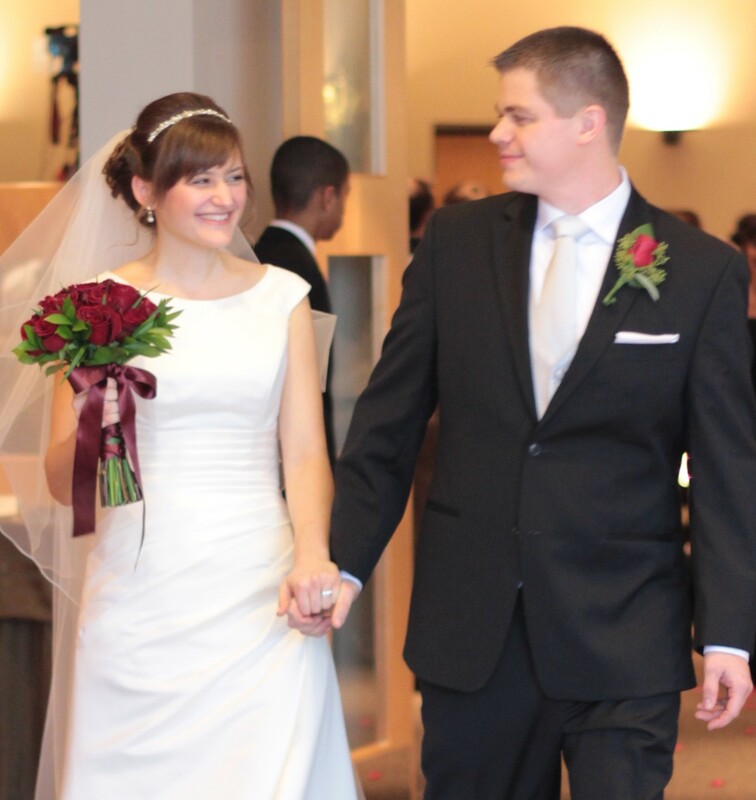 This entry was posted in Marriage and tagged The bride, The bridegroom, Wedding on January 19, 2015 by Jason Dohm.